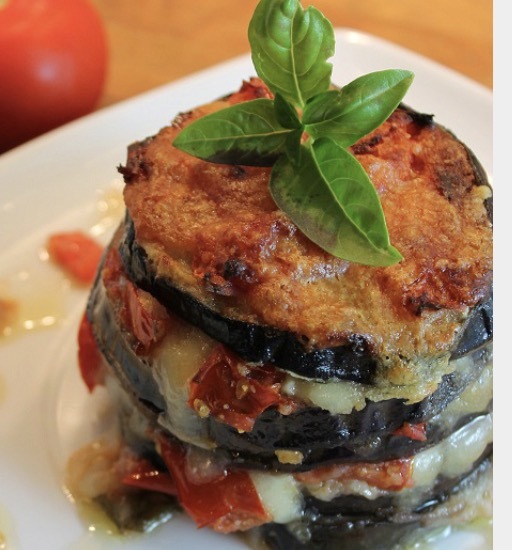 Aubergine, tomato, mozzarella and basil a fresh, healthy and tasty dish from Italy. Hosting our twice annual retreat in Sardinia sparked this fresh, healthy, tasty dish to be on our retreat menu. The Surelli family very kindly invited us to eat with them one evening when we were planning our guests arrival. They served the most amazing dish that left me totally mesmerised with how such a delicious dish could be made with such simple ingredients. A good tip is to have the tomato sauce cooked ahead of time. This will speed the process up a lot! Well here’s my take on the traditional Parmigiana. 2 fresh or dried bay leaves. sprinkle the slices with sea salt and cover with a sheet of paper towel – this will help release the excess liquid from the aubergine. Leave for a few minutes. As the tomatoes are cooking – I like to mash the tomatoes down with a masher or even a hand blender will do nicely if you have one! Now bring the tomato mixture to a good heat then simmer for 1-2 hours. Preheat the oven at 180 fan gas mark 6. Heat the pan spray the aubergine with a little oil and then add the slices of aubergine, making sure you only add enough to cover the base of the pan, turn over when done. Then make your way through each slice. working in batches that line the base of the pan. 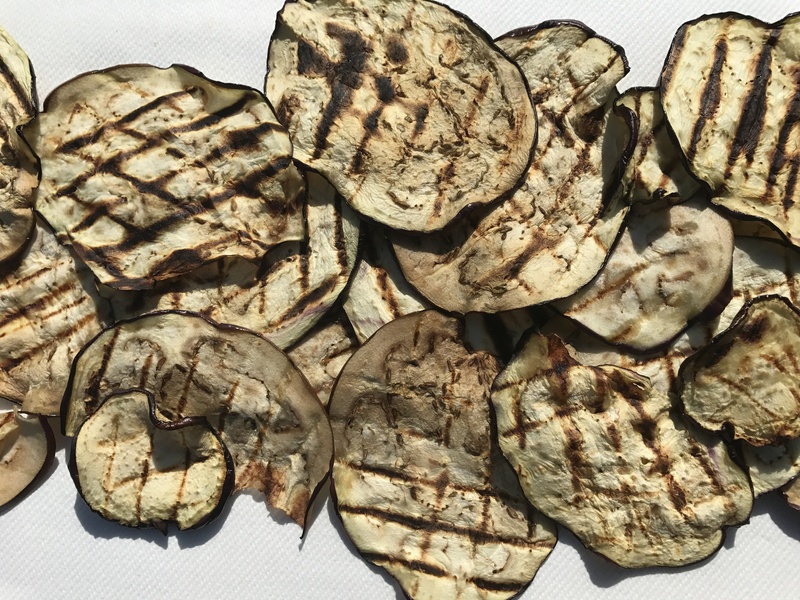 Once all of the aubergine slices are griddled, you are ready for the layering. 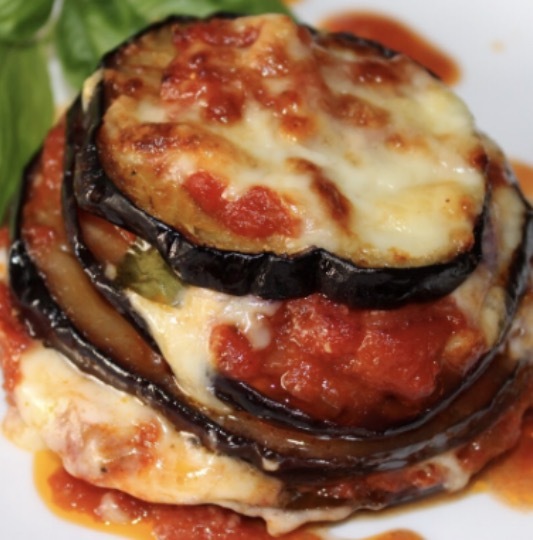 then add a layer of aubergine, then a layer of mozzarella, keep layering until you have used all of the ingredients, finishing with a layer of tomato sauce. Last of all sprinkle with freshly grated Parmigiano cheese. Bake for 30-40 mins until the top is golden and crisp. The tomato sauce will be bubbling around the sides. The smell will be divine and your mouth will be watering!